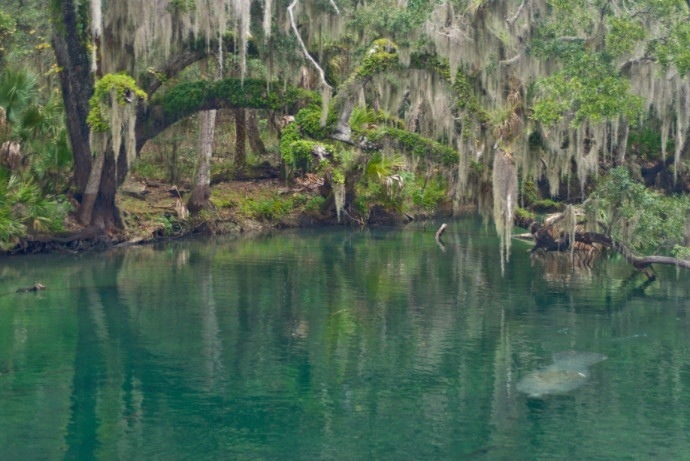 Three Days of Central Florida Springs | Florida Hikes! 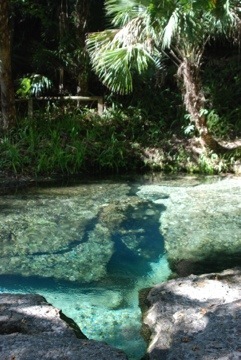 If you had a 3-day weekend coming up and wanted to spend it splashing around in Florida’s springs, where would you go? One of our South Florida readers posed that question this week, which prompted us to come up with a few itinerary ideas. This one is your best bet for spring adventures near Orlando. Tip: get yourself a Florida State Parks annual pass so you can hit multiple parks in a day and be flexible with your schedule. Day 1: Blue Spring State Park, Orange City. No matter the time of year, these springs are a must-see destination. In winter, they boast the most dense population of manatees in the state. From Apr-Nov, you can swim in and snorkel the spring run. Rent a canoe for a paddle out into the floodplain forest across the St. Johns River. Or take the St. Johns River Cruise to learn about flora and fauna along the river. 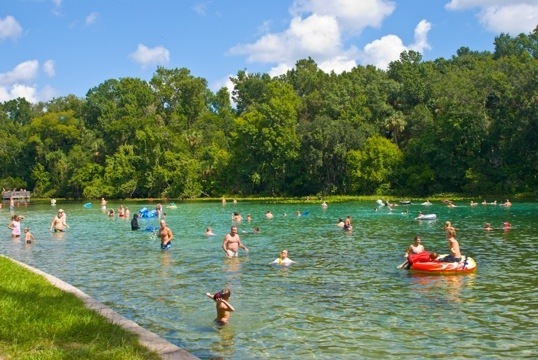 Blue Spring State Park can get crowded, so consider DeLeon Springs State Park, upriver, as your back-up plan. Swim and snorkel in the spring, which is walled in as a swimming hole. Rent canoes or take a guided pontoon boat trip to explore Spring Garden Run. Most visitors come for the Old Spanish Mill and its make-your-own pancake griddle tops. But the park also has several hours worth of hiking trails to explore. There are both cabins and a campground at Blue Spring State Park, but this is a popular park and gets booked up. An alternative for this itinerary is a campout at Clearwater Lake Recreation Area in the Ocala National Forest. Day 2: Alexander Springs. This gem in the southeast corner of the Ocala National Forest gets busy in the summer and on hot weekends. At other times, you may have the place to yourself. Which is fine- the water is a constant 72*F year-round. With its long, broad basin, Alexander is great for underwater photography, snorkeling, and swimming. Scuba is permitted here too. The nature trail is one of our favorites since it shows off most of the habitats you’ll find in the Ocala National Forest in a one mile loop. You can also hike to the Florida Trail from here, or rent a canoe and use their shuttle service for a float trip down Alexander Run. Tucked in the forest, the campground at Alexander Springs is very appealing. You can camp here or move on to the campground at the next stop on this tour, at Kelly Park in Apopka. Day 3: Rock Springs. 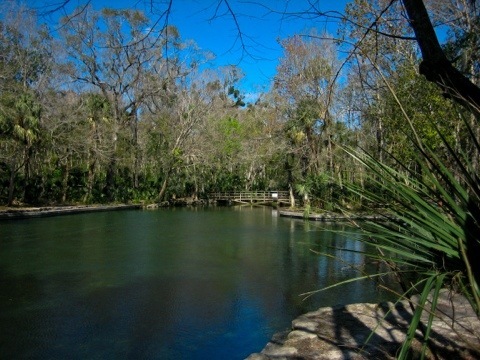 Since the 1920s, the source of Rock Springs Run – which pours out of a cave – has been protected by Kelly Park, an Orange County Park in the Wekiva River basin. Locals keep this place hopping when school is out. Why? It’s a natural water park. Rent tubes outside the park entrance and use them for the float down the most tropical tubing run in Florida, complete with giant rocks and turquoise waters. A broad spot in the run serves as a swimming hole. Next to Kelly Park is Kings Landing, with canoe rentals for the half-day paddle it takes to get to Wekiwa Springs. They’ll pick you up and haul you back, of course. 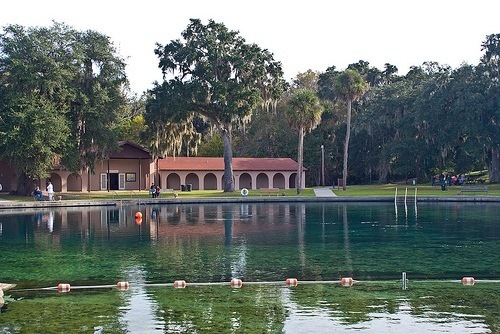 Depending on your travel plans, you may have time to visit Wekiwa Springs State Park on your way home. For swimmers, this is the deepest of the springs. Canoe rentals let you explore where the spring outflow – joined by Rock Springs Run – goes. One of Florida’s busiest state parks, it has a large campground and more than 12 miles of hiking trails.